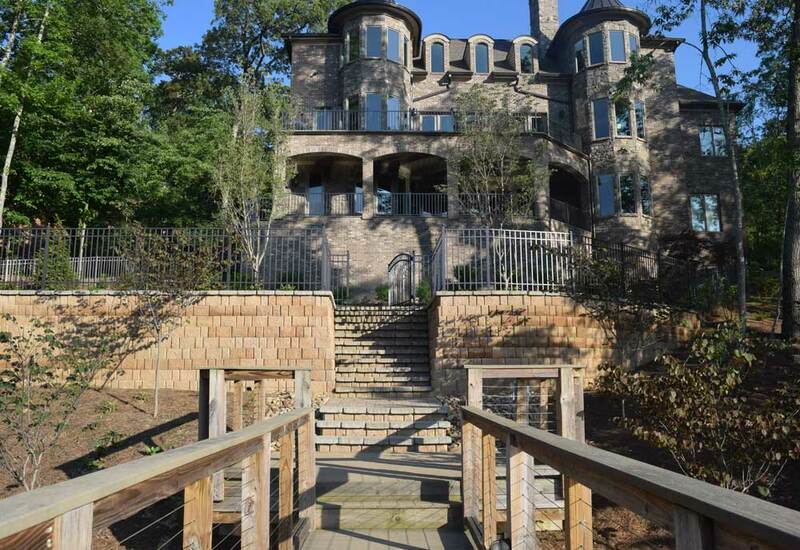 Earthadelic handled the entire landscape and hardscape for a new construction home in Riverbend. 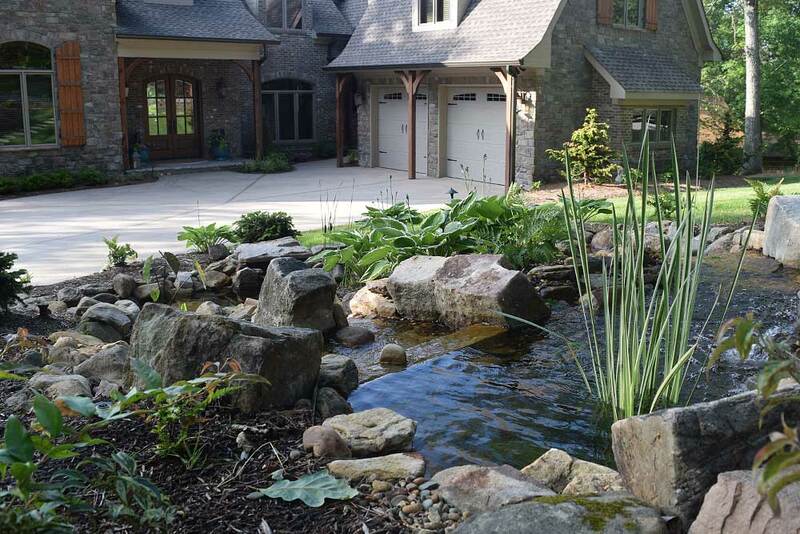 With over 2 acres of space, our designers worked with the homeowner in creating a landscape that suited their needs. Matching the existing brick proved challenging, but Earthadelic's brick masons were up to the task. Maintaining their lush, green, lawn are the Earthadelic maintenance crews. 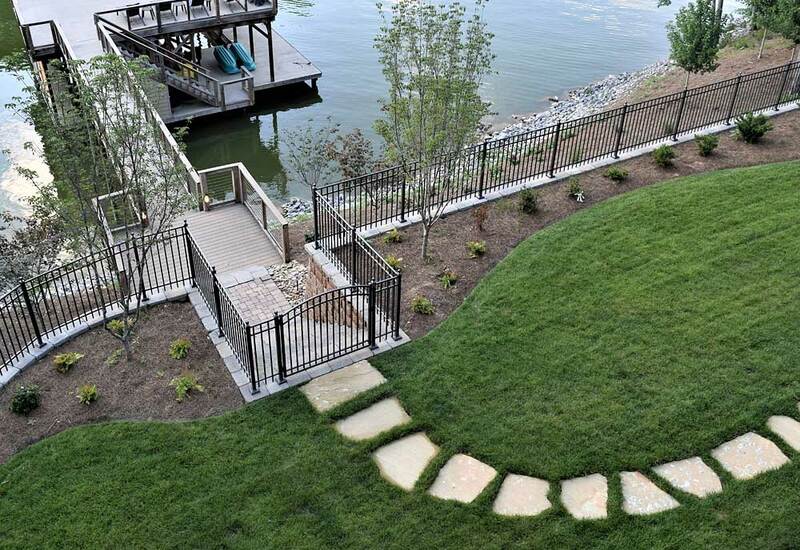 While living on the lake has its perks, the customer also wanted a level place to call a backyard. Greeting you when you enter the driveway to this home is a multi-tier water feature complete with submersible lighting for the night. 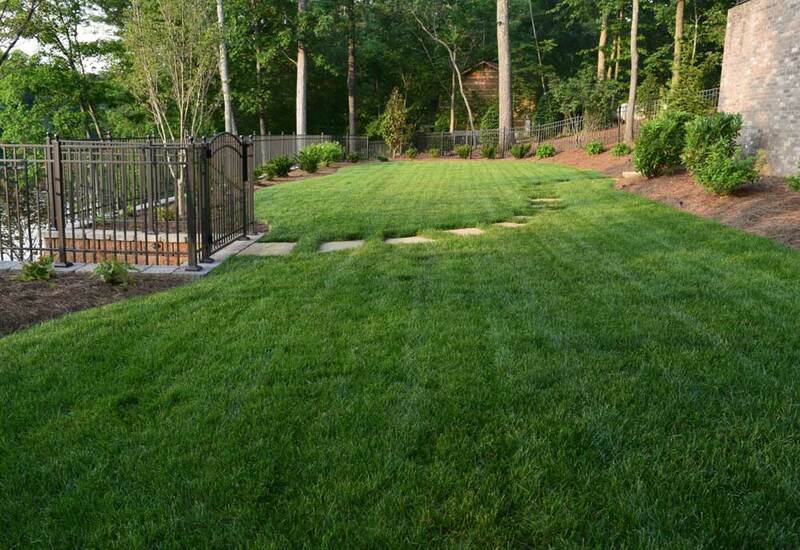 We work with our customers to keep their landscape looking as good as the day we completed the project, all year round. 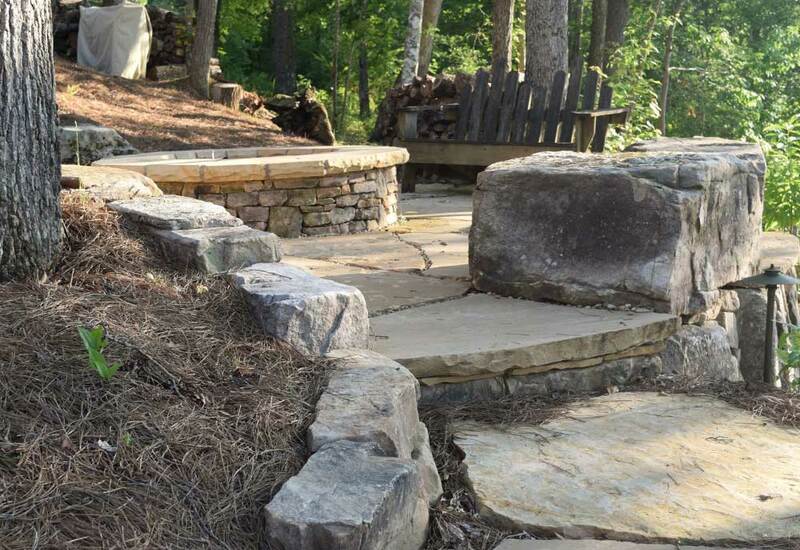 Natural flagstone steps are a theme for this project. Beginning at the front of the house and wrapping around to the back to lead you to the fire pit area. 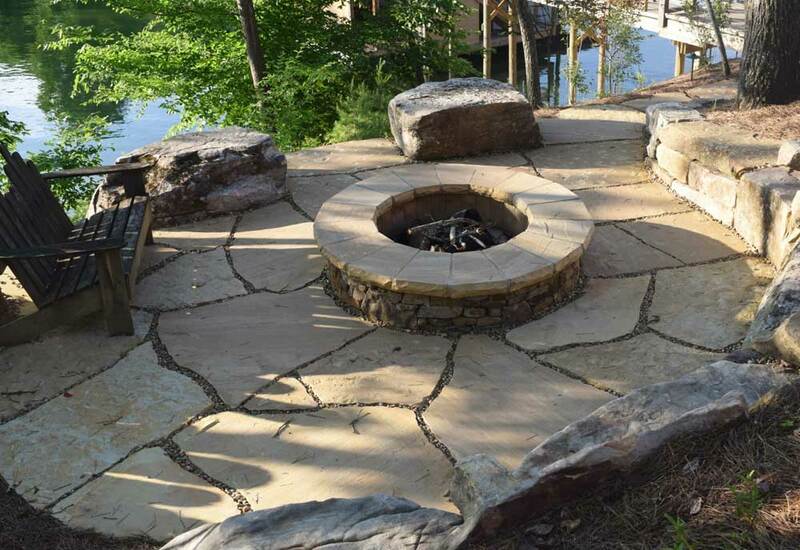 This custom fire pit and flagstone patio area are located right above the water with an amazing view of the sunset. The sitting area as well as the arm rests are constructed out of boulders. We planted many new trees, bushes, and plants to complete this landscape including winterberry hollies, limelight hydrangeas, autumn ferns, magnolias, and dogwoods.